To see photos of designs of over 300 other Medium to Small Business signs in Gallery 28A, click on "Return to List>>" below right. We make custom, long-lasting and attractive wood, HDU, and HDPE outdoor signs complete with external steel or wood support and mounting structures. We make post-and-panel, hanging, wall, and window 2.5D, 3D, and engraved signs in any size from 12 inches to 4 feet, for all-weather outdoor use. 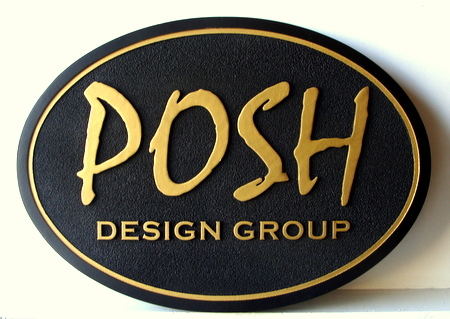 A sign can use a wide selection of size, shape, materials, color, font style, and artwork choices. Larger size business signs, up to 20 ft., are shown in Gallery 28 (click on No. 28 gray box in left margin). To see photos of other retail and commercial business signs. click on Gallery 28 (large entrance and monument commercial signs) and Gallery 28B (indoor business and store signs, including Point-of-Purchase (POP) signs and plaques). Other specialty business signs are shown in Galleries 10, 11, 11A ,11B, 14, 19, 20, 21, 23, 24, 25, 26, and 27, listed in the left margin. We have over 7000 photos of signs and plaques on the website, organized into 45 photo galleries listed on the left; click on the numbered title in a gray box to visit another Gallery. To return to the retail and business signs in Gallery 28A, please click on "Return to List" below right.